I am a proud member of the Guidecraft Educator’s Blog Team and get very excited every month to introduce you to the highest quality, educational children’s toys. What makes Guidecraft so special in my opinion is that the toys are so unique, creative and brilliantly encourage children to use their imaginations and do what children should be doing………..PLAYING with no batteries required! The Peekaboo Lock Boxes by Guidecraft are a great play offering both function and fun as children are sure to love unlocking each of the six color coordinated boxes. 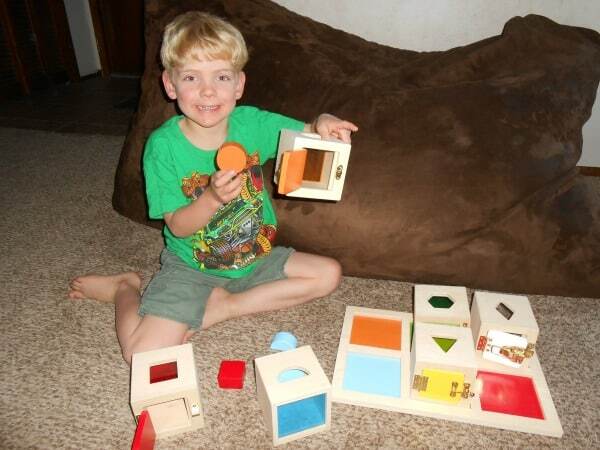 These wooden lock boxes are a great twist on shape sorting toys because this fun and educational toy includes a different style lock for children to open and retrieve the correct colored shape. Each acrylic transparent window is colored to match the color coordinating shaped block and door so kids can peek inside adding to the fun and assist them with problem solving. Designed for ages 2 and up, the wood shapes are chunky and easy for little fingers to grasp and manipulate developing the child’s fine motor skills and coordination. I originally thought that my children were a bit too old to enjoy this toy but I was proven wrong as my five year old son and six year old daughter immediately gravitated towards this toy during free play time at school. They spent over 30 minutes locking and unlocking the lock boxes and declared it to be, “lots of fun”. Each lock box is nicely sized and I love that the six blocks can be stored in the accompanying wooden tray. As is the gold standard at Guidecraft®, the Peekaboo Lock Boxes (SRP $90 per set) are durable, well-crafted and sure to provide years of learning fun! You are invited to visit Guidecraft® to browse the entire selection of learning, educational toys and heirloom quality wooden children’s furniture for both home and classroom. Connect with Guidecraft® on Facebook and Twitter. What a great, durable product! This would keep my grandson very busy! My daughter has a Minnie Mouse Ball that you put shapes into but it is so cheaply made. I would really love to have these blocks for her. It’s really great that it has colored spots to coordinate with the colored box. 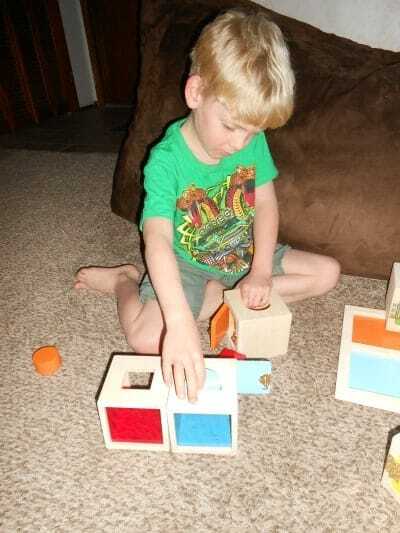 Blocks through shaped holes toys – how nostalgic! Though ours was plastic and lacking in locks, so this is clearly an upgrade. I like that they peekaboo boxes are made of wood, they will last a long time. They will have lots of fun trying to open the locks and shutting them too. Will help them learn their colors and shapes. These would be a great addition to my classroom, plus a big hit with the kids! Hello, Simply Stacie. 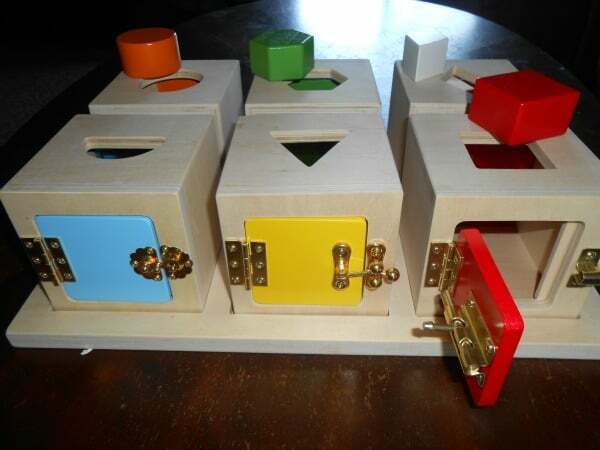 A through post and nice to hear what your children both thought of the peekaboo-lock boxes. They look very well made and I love the colours. I liked that you mentioned the pieces were chunky so little hands can grab them easily. Thank you to Uncle Ben’s and Simply Stacie for the Uncle Ben’s giveaway. What a creative and fun idea! A great way to get kids minds thinking and start problem solving early yet in a plying way so that they want to solve it. I hadn’t seen these before but think they are very useful.